available in matching colours & aluminum. colours: yellow, kid blue, baby pink, black. All items above are fully in stock - order online. Call for models not shown. 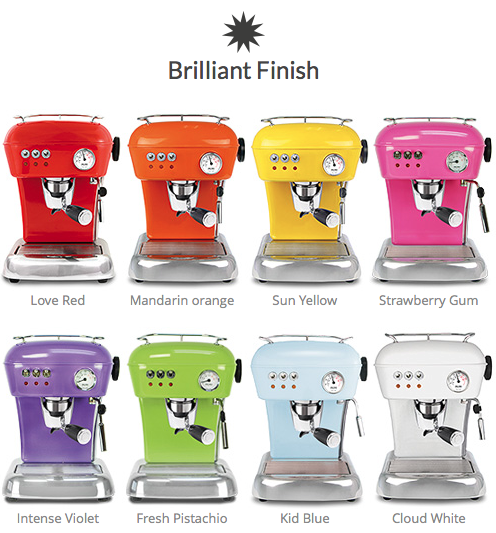 Ascaso's range of stunning retro design machines in different colours. 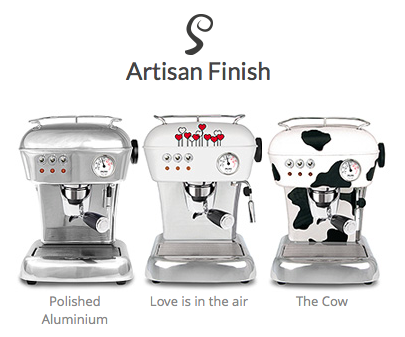 The DREAM by Innova / Ascaso is a solid, pump operated espresso & cappuccino machine. The filter holder is made of brass and has a large diameter, ensuring great extraction. Easy to remove drip tray and water tank make the machine easy to keep clean. 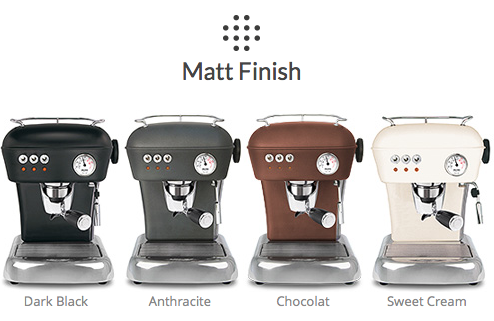 The optional Innova Ascaso burr grinder comes in matching colours. This exciting (Innova) Ascaso Dream Versatile range is a mix of style, fun with a retro twist and quality parts. All the innova range having powerful 16 bar pumps these will deliver in all areas. 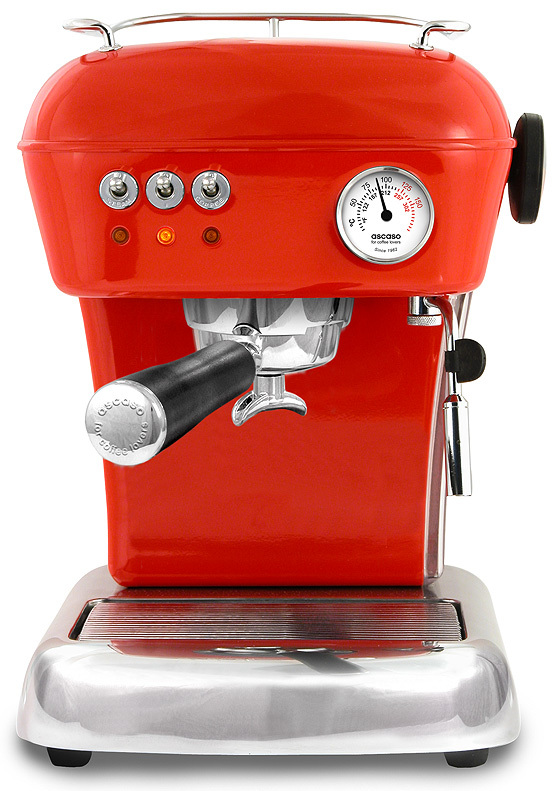 Ascaso (Formerly Called Innova) are a spanish espresso maker company. - Cup Clearance 7cm / 2.75"
Available Following Finishes: Black, Blue, Green, Anthracite Grey, Red, Cream, Orange, Yellow, White, Cow and Polished. Strawberry Gum, Fresh Pistachio, Intense Violet. TAKE ANY INNOVA ORDERS AT THIS TIME, SORRY. Love is in the air, not available in the UK. Ascaso Dream Chocolat Not Available in UK, sorry.